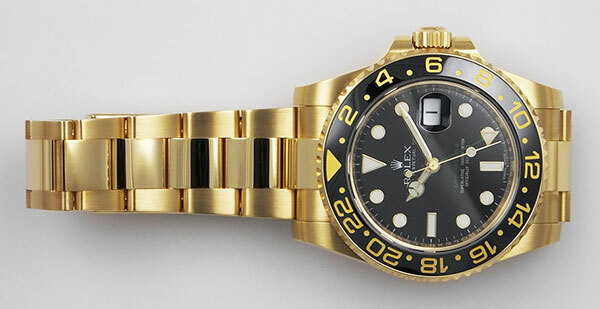 Gentleman's Rolex Oyster Perpetual GMT Master II in 18K yellow gold with matching 18K 'Oyster' bracelet. 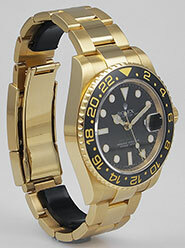 In BRAND NEW/New Old Stock condition with perfect bracelet, perfect dial, bezel, etc. 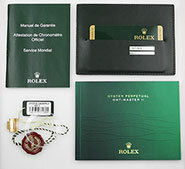 Complete with original boxes and warranty certificate. An 'as new' example of this highly sought after gold sports Rolex - never been on a wrist. 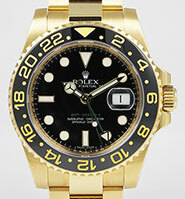 New RRP: £25,550. Discontinued at Basel 2019. Solid 18K yellow gold case really is in 'as new' condition - no scratches, dents or other imperfections - it is perfect. 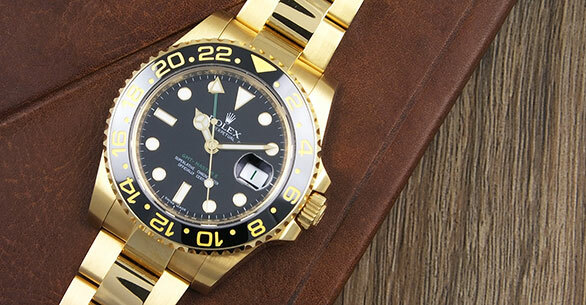 Bezel and bezel insert are also flawless. A 'Safe Queen', admired and looked at but never used. Serial number: M817xxx. 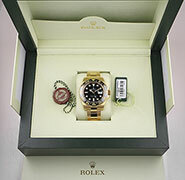 Case ref: 116718LN. 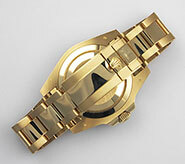 Case dimensions are 40mm (not including crown - 44mm including), 13mm thick and 47.5mm lug to lug. 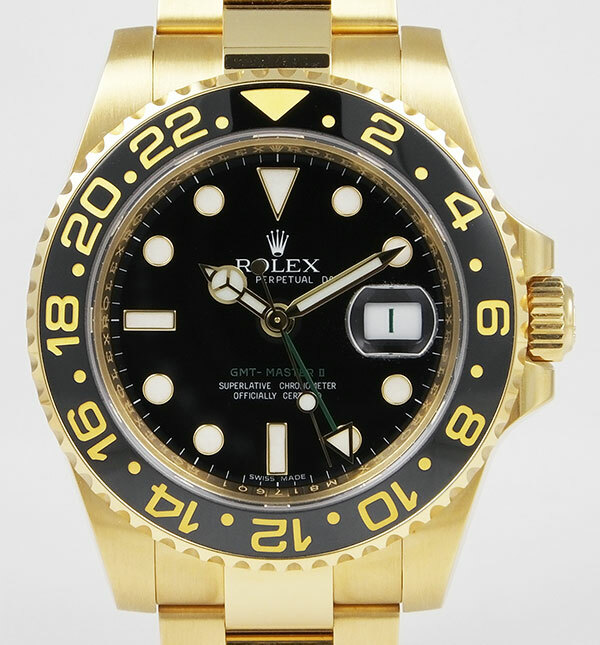 Beautiful glossy black dial with applied 'Maxi' hour markers. 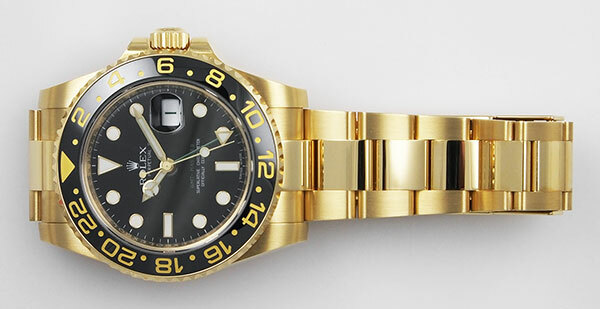 Dial is signed "Rolex Oyster Perpetual Date, GMT Master II, Superlative Chronometer Officially Certified" with "Swiss Made" at 6 o'clock. Sapphire crystal is perfect with no marks, chips or other imperfections. 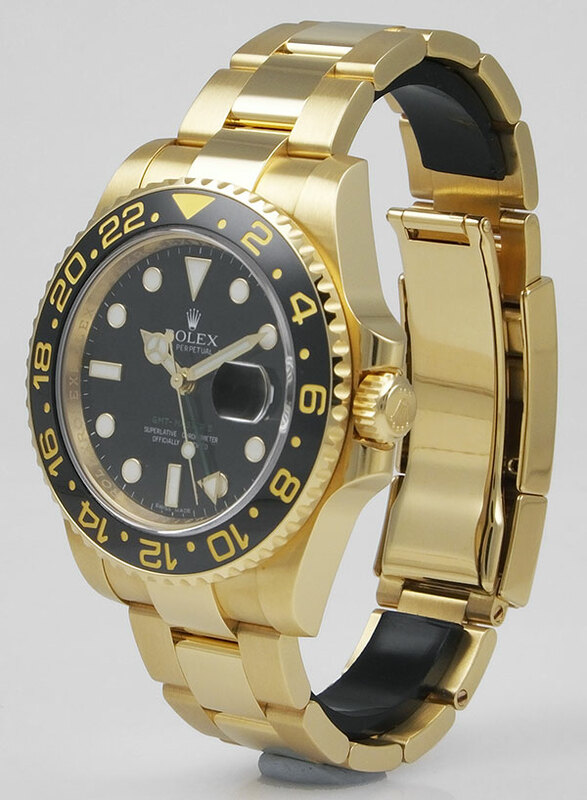 18K yellow gold 'Oyster' bracelet is again 'as new' with ZERO stretch/play in links. This is the current model with Solid End Links. Bracelet will currently fit approx. 7.75" wrist or can be adjusted - one extra link included. The bracelet was adjusted by AD when originally purchased but it has never been worn. Model 116718LN, calibre 3186 automatic Chronometer movement in excellent condition and keeping excellent time. Full 12 months warranty for your complete peace of mind. 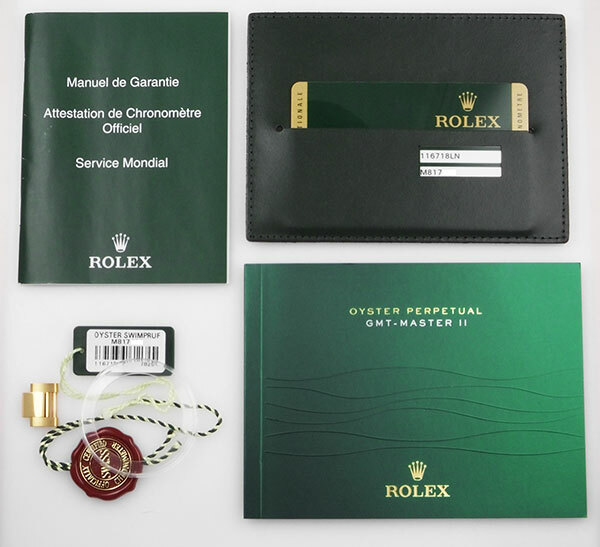 Comes complete with both original boxes, manual, warranty booklet, leatherette wallet, both hang-tags and signed/dated warranty card from Rolex Boutique, 29 Old Bond Street, London. 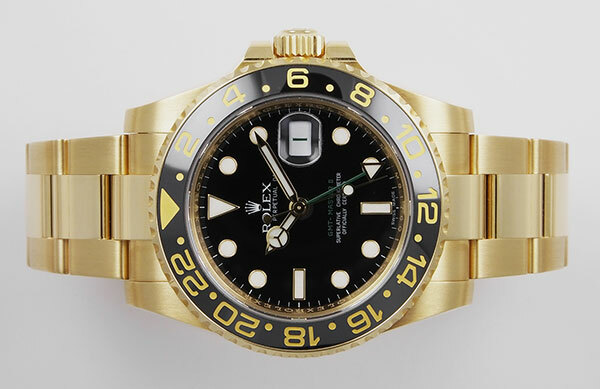 We purchased this watch from the original owner. 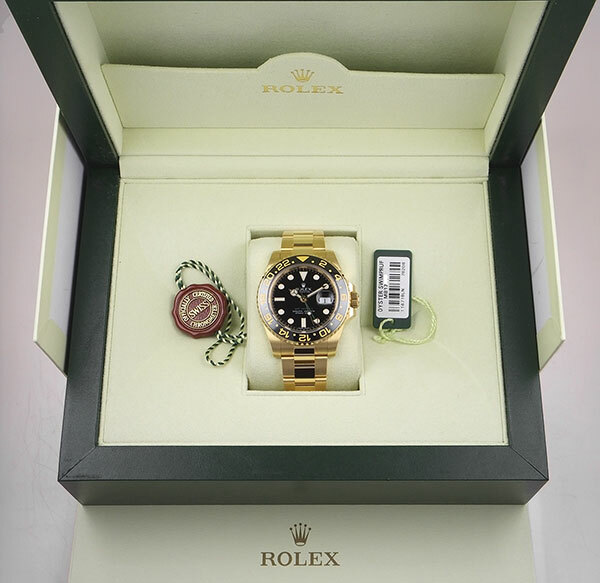 100% genuine and rest assured, we give a lifetime guarantee on the authenticity of all the watches we sell.